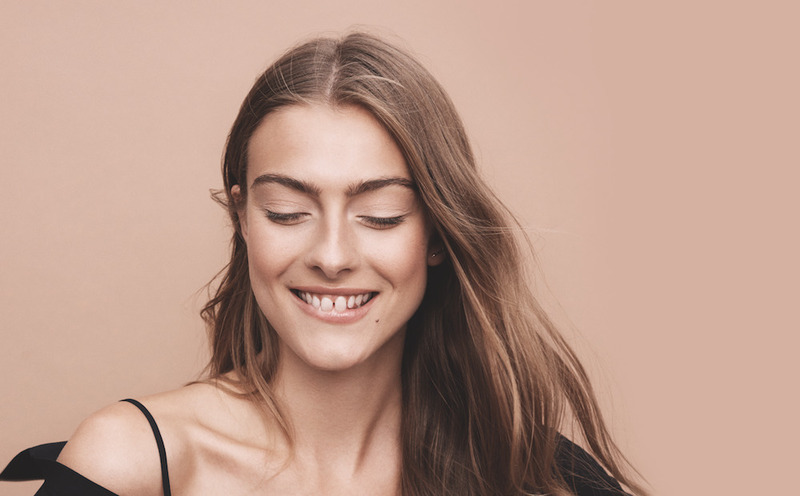 From your period and your boyfriend’s beard to stresses like your commute and finances, there are so many very grownup life things that can cause your skin to break out like a teenager’s. 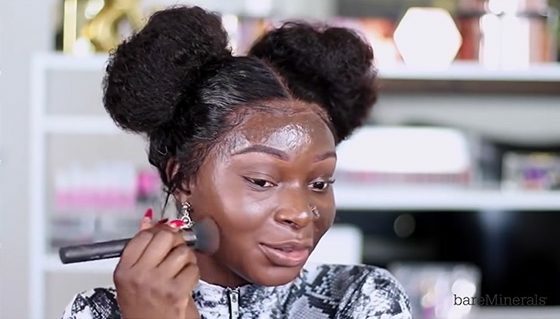 You may have thought that becoming an adult meant the end of pimples, but (as you probably know) you can still get a few zits or even full-blown breakouts. The good news is that we’re here for you with acne-fighting skincare and makeup that’s made with natural ingredients. Our BLEMISH REMEDY and BLEMISH RESCUE products are secret weapons (in sleek, adult packaging) for getting your skin back in check. This should be obvious, but we just want to say it: the entire lines are dermatologist tested and non-comedogenic, meaning they won’t clog your pores or cause breakouts. 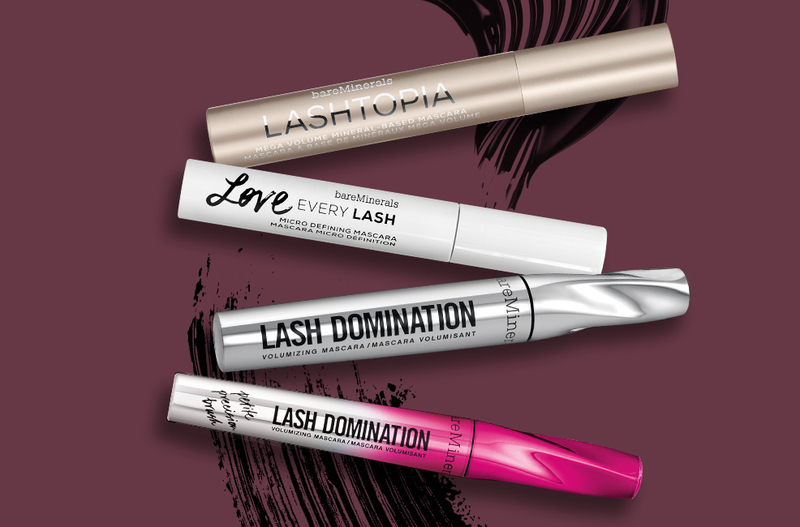 Because that’s the last thing your makeup should do. Now, let’s get down to clearing up those breakouts. Obviously skin that is clean is less likely to break out, but how you clean it can make a difference. 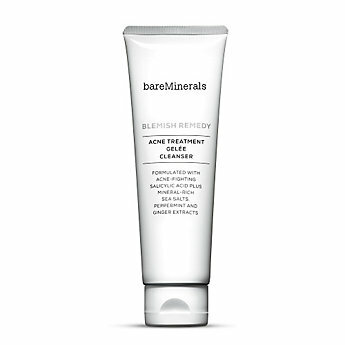 Blemish Remedy Acne Treatment Gelée Cleanser is an oil-free acne facial cleanser that not only helps to get rid of existing acne but also washes away pore-clogging impurities, which helps prevent future breakouts. We recommend washing your face with it both morning and night. One of the best ways to stay on top of the adult acne fight is to add a skin-loving serum to your daily beauty ritual. 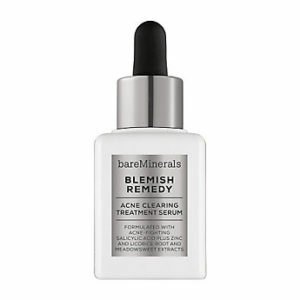 Our Blemish Remedy Acne Clearing Treatment Serum is specifically made to calm acne-prone skin and reduce redness. Apply it after you cleanse your face in the morning and at night to condition and soften your skin before applying your moisturizer. Trust us, it will make a difference after you’ve used it for a while. Another behind-the-scenes secret weapon you should have in your anti-acne arsenal is our BLEMISH RESCUE Anti-Redness Mattifying Primer. This soothing primer is clinically shown to maintain skin’s essential moisture over time, while green mineral pigments help to neutralize the look of redness. Chamomile and arnica calm and nourish to keep your skin looking fresh and healthy. 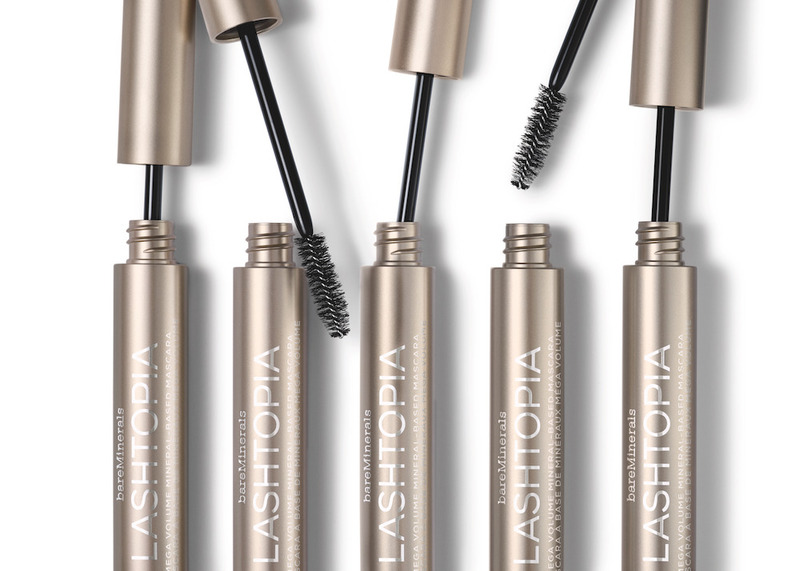 Apply the weightless gel after your moisturizer and before your makeup. Made specifically for people concerned with acne, it is an effective makeup primer that dries into an invisible matte finish, creating a smooth base for better makeup application and longer wear. We LOVE foundation—complexion is kind of our thing. That’s why we make them for different skincare concerns and finish preferences. 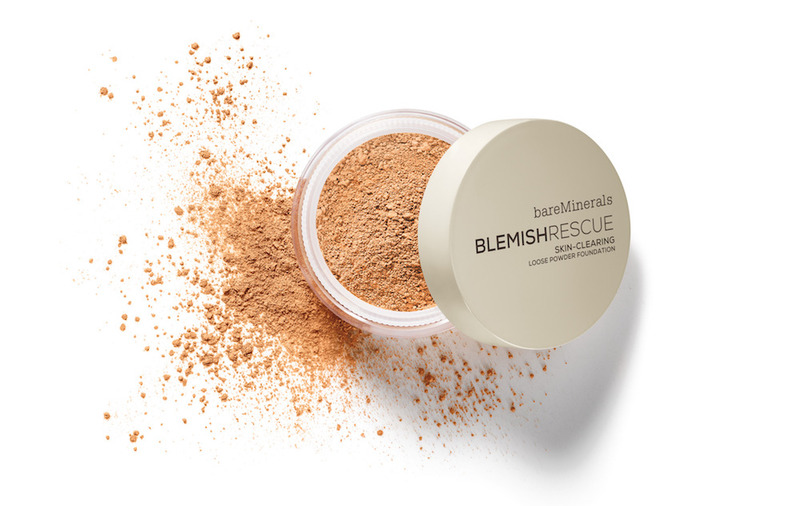 Specially formulated for oily, acne-prone skin, BLEMISH RESCUE Skin-Clearing Loose Powder Foundation is made with soothing oat protein and a Moisture Mineral Complex to keep skin hydrated, while a blemish-busting mineral blend of zinc, sulfur and Kaolin clay work together to mattify skin and purify pores, and phytosphingosine optimizes skin’s defenses against bacteria. The best part? This is the first powder to contain salicylic acid, which quickly resolves breakouts. When acne-prone skin is your daily reality, it’s crucial to have an on-the-go solution for those moments you need it most. 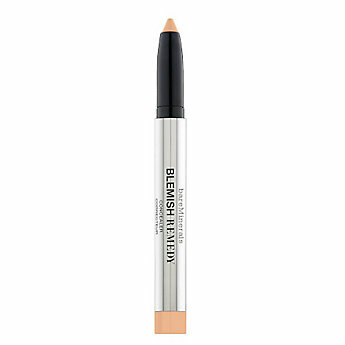 Our spot-on Blemish Remedy Concealer is a convenient twist-up pencil that’s available in four shades. Not only does it reduce the look of redness and cover problem areas, it’s powered with Kaolin clay minerals that help to reduce shine and absorb excess oil in seconds so you can apply it over your blemishes and get on with your day. 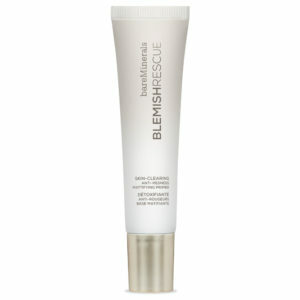 Not sure which BLEMISH RESCUE Foundation shade is right for you? 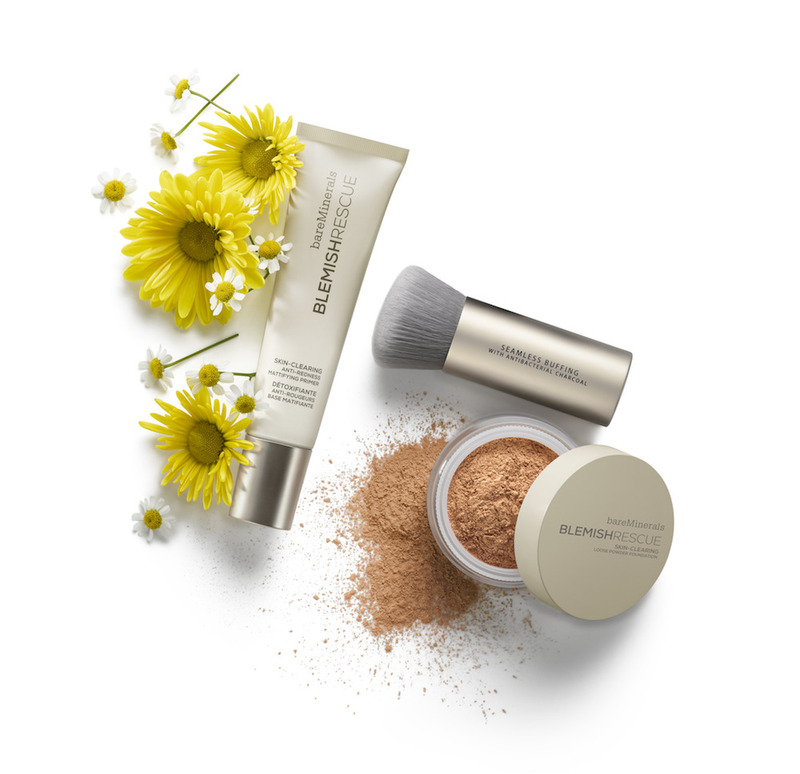 Try our online Foundation Finder tool, or visit any bareMinerals boutique to find your perfect match.